Gone are the days when people would accept aging as a sign of wisdom and experience. People want to look and feel young, today. The burgeoning anti-aging industry offers them a wide range of choice - from anti-wrinkle creams, lotions, and serums to surgical treatments such as cosmetic surgery. One such anti-wrinkle treatment is the SeSderma BTSes Anti-Wrinkle Moisturizing Serum. SeSderma BTSes Anti-Wrinkle Moisturizing Serum is manufactured by the Spanish company SeSDerma Laboratories. The company has been in existence for almost 18 years and its product line comprises of more than 150 health care products. These products include weight loss and menopause supplements, deodorants, hair care and skin care products. SeSDerma Laboratories claims that its mission is to encourage people to take proper care of their skin, hair and nails. The serum is available for purchase at the company’s official website, dermatologists’ clinics, pharmacies and medical stores. Its pricing is on the expensive side at $68 for one unit. As per the company, SeSderma BTSes Anti-Wrinkle Moisturizing Serum is meant to fight the wrinkles on the face. It claims that the serum revitalizes the skin cells and helps to increase the production of collagen. Collagen is a natural substance that keeps the skin supple and smooth. The serum contains acetyl hexapeptide-3, better known as Argireline. Argireline relaxes the facial muscles to reduce the fine lines. The product also contains Palmitoyl hentapeptide-3 or Matrixyl, which stimulates the production of collagen. Another important ingredient is Sodium hyaluronate. This helps the skin maintain its moisture content. SeSderma BTSes Anti-Wrinkle Moisturizing Serum is suitable for all types of skin. It contains known anti-aging ingredients. It can be easily ordered through the official website. 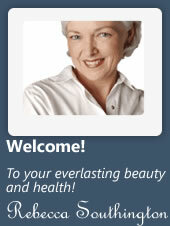 The official website of SeSderma Laboratories does not contain any customer testimonials. It also does have any information on the clinical studies or research conducted on the serum. There is no money-back guarantee or free samples offered. SeSderma BTSes Anti-Wrinkle Moisturizing Serum contains known anti-aging ingredients. However, the complete list of its ingredients is not given. The details of clinical studies or tests conducted are also not available. The wide range of products by the manufacturing company may cause potential customers to doubt if extensive research has been conducted before manufacturing SeSderma BTSes Anti-Wrinkle Moisturizing Serum.